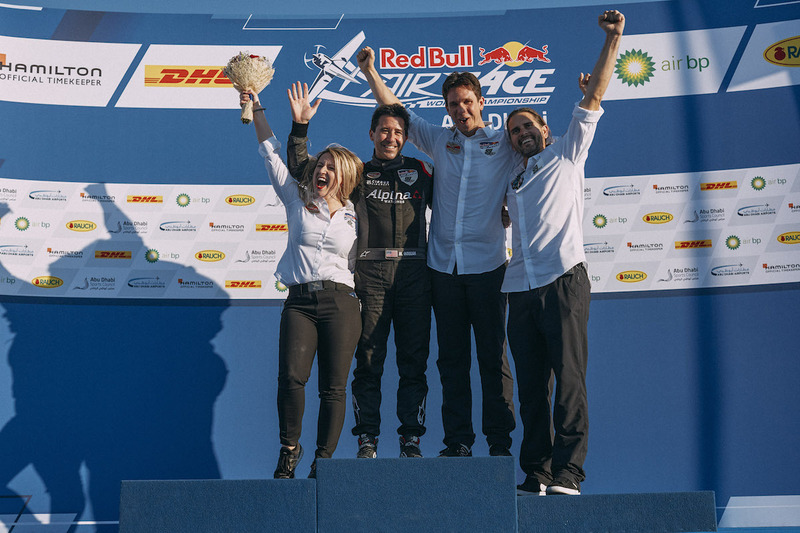 It’s been a long wait for Michael Goulian – nine years since the last win in Budapest 2009. Flying consistently fast all week, persistence paid off. 50,000 spectators watched on Abu Dhabi’s Corniche as Michael Goulian delivered an impressive 53.695 second time through the track during the Final 4, ultimately pushing him at the top of the podium. 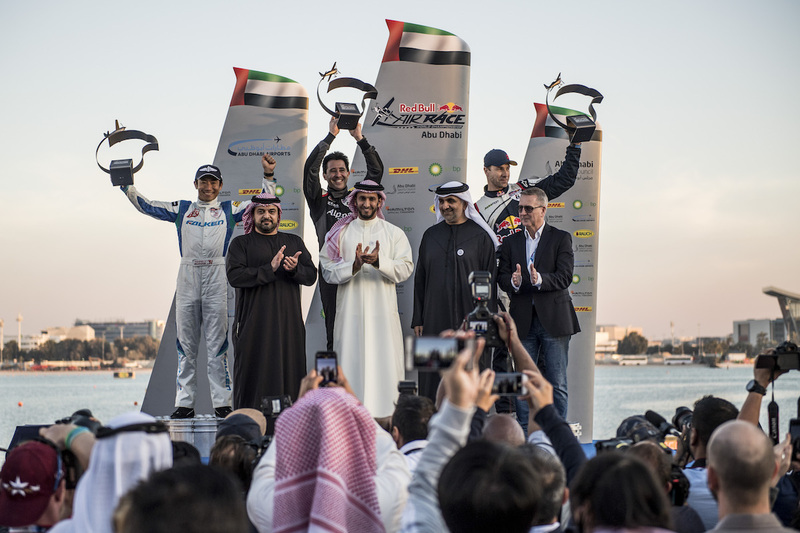 Michael Goulian of the United States (C) celebrates with Yoshihide Muroya of Japan (L) and Martin Sonka of the Czech Republic (R) during the Award Ceremony at the first round of the Red Bull Air Race World Championship in Abu Dhabi, United Arab Emirates on February 3, 2018. 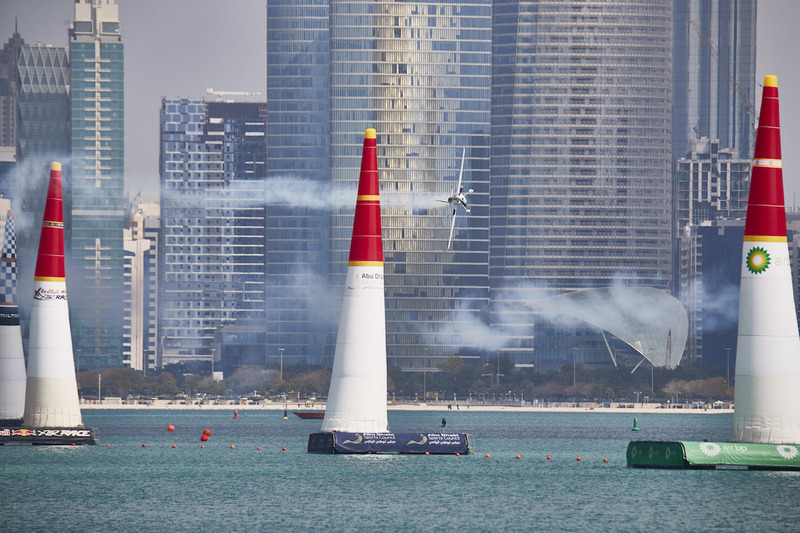 Michael Goulian of the United States performs during qualifying day at the first round of the Red Bull Air Race World Championship in Abu Dhabi, United Arab Emirates on February 2, 2018. 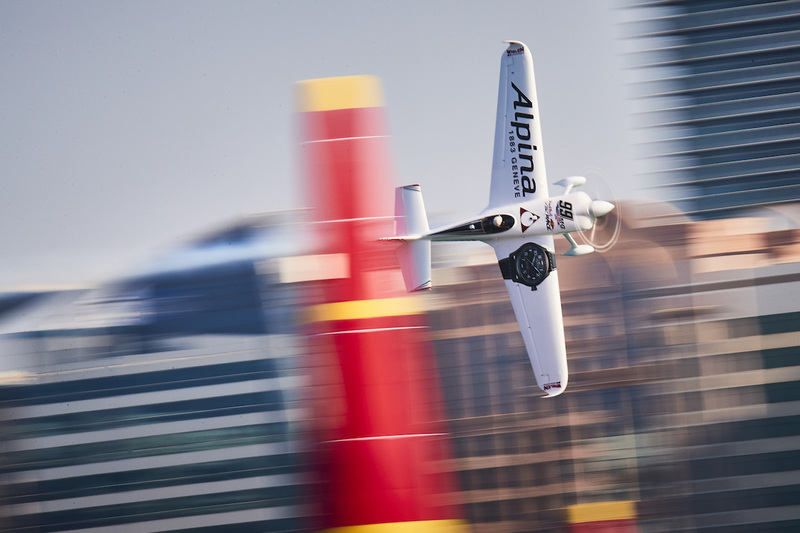 Michael Goulian of the United States performs during the finals at the first round of the Red Bull Air Race World Championship in Abu Dhabi, United Arab Emirates on February 3, 2018. 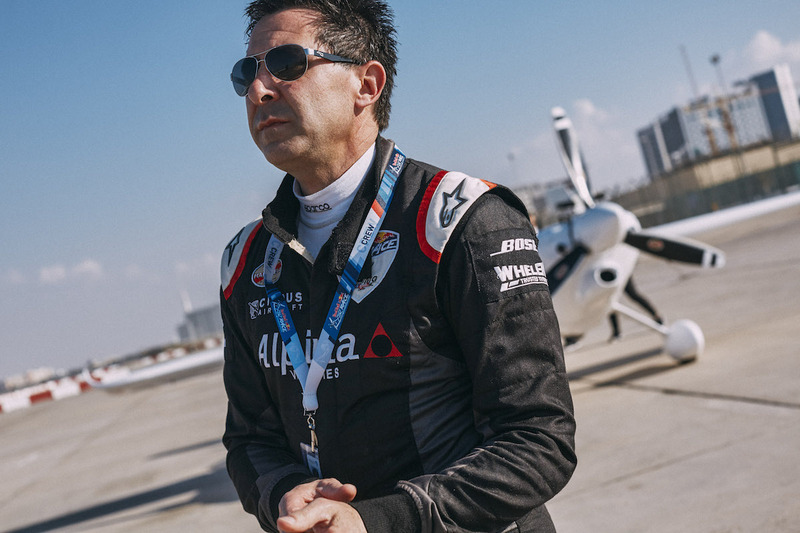 Michael Goulian of the United States at the race airport during the finals at the first round of the Red Bull Air Race World Championship in Abu Dhabi, United Arab Emirates on February 3, 2018. 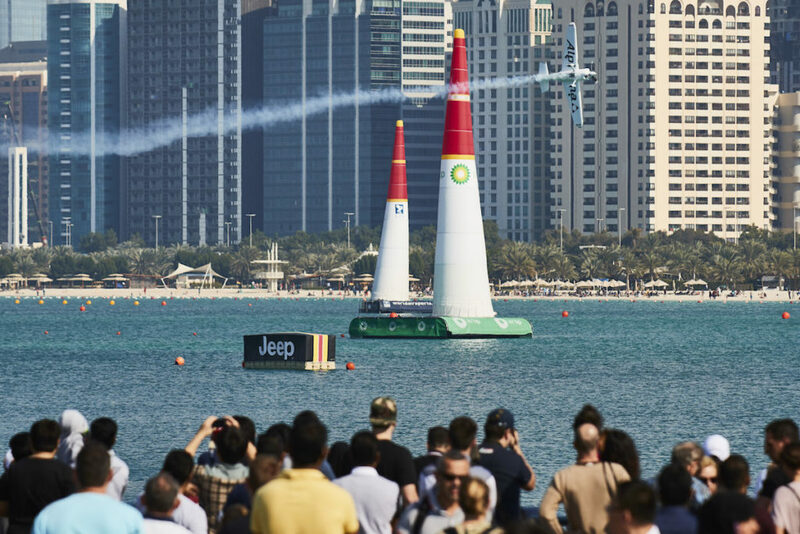 Team Goulian celebrate after the finals at the first round of the Red Bull Air Race World Championship in Abu Dhabi, United Arab Emirates on February 3, 2018. 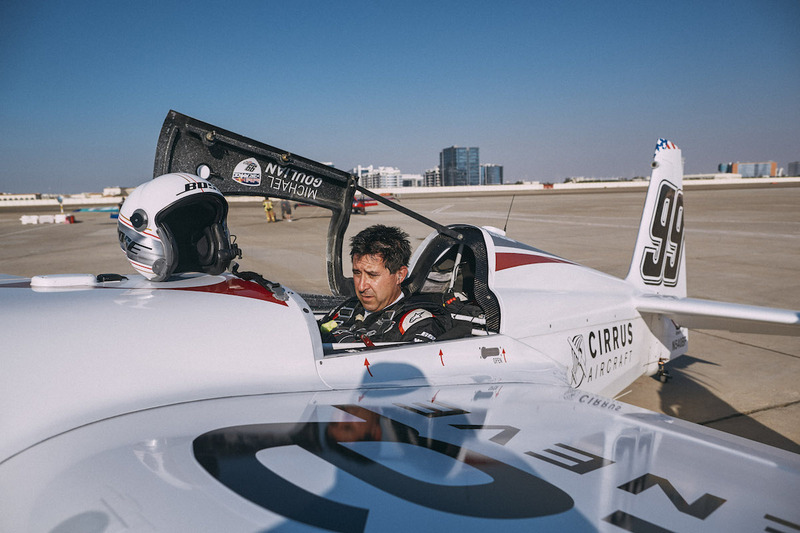 Michael Goulian of the United States returns from his flight during the finals at the first round of the Red Bull Air Race World Championship in Abu Dhabi, United Arab Emirates on February 3, 2018. 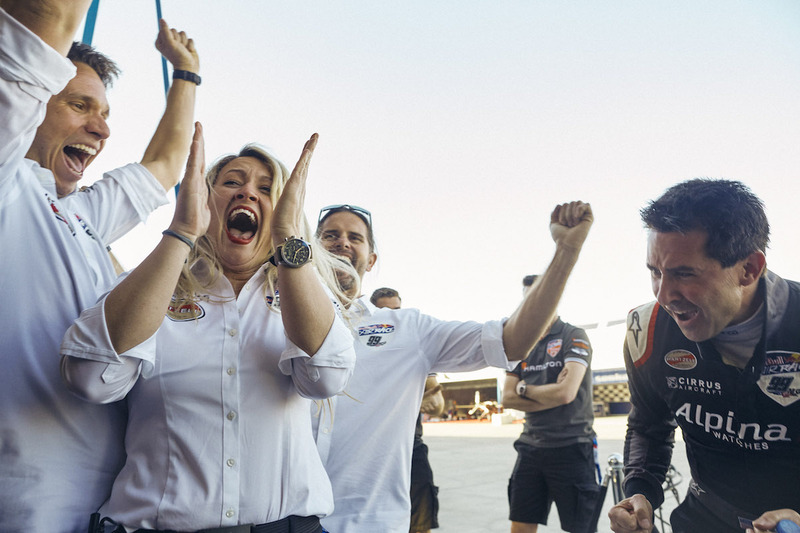 Michael Goulian of the United States celebrates with his team after he won at the first round of the Red Bull Air Race World Championship in Abu Dhabi, United Arab Emirates on February 3, 2018. Michael Goulian of the United States celebrates with Matt Hall of Australia after the finals at the first round of the Red Bull Air Race World Championship in Abu Dhabi, United Arab Emirates on February 3, 2018. Photos and video courtesy Red Bull Content Pool.